Since childhood, Ilaria has felt a calling in her heart and a connection with the Divine Mother. While she was attending courses at ‘Association ASIA’ in Bologna in 2004, she came across yoga and meditation and this strong experience altered her life path. 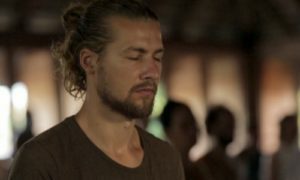 After graduating in Dams Theatre, Ilaria obtained a Master’s degree in philosophical counseling and techniques of Nonterapia (Integral Yoga, Pranayama, Tibetan Yoga, Rebirthing, Shamanic Yoga, Nada Yoga, Kundalini Yoga) She practices Shamanic Yoga with Selene Calloni Williams and Vipassana meditation with the Theravada Buddhist monk, Sumanaloka Thero. In parallel, she teaches theater and offers after-school dance education to children. 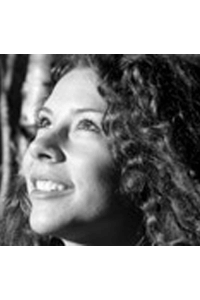 In 2007 she began teaching yoga to children and in 2008 she began to lead groups of Shamanic yoga for adults. In 2010 she discovered Agama Yoga in Thailand and in 2011 she earned the title of “Meditation and Yoga Instructor” from Sahajananda. During her stay in Thailand she played several Silent Retreats for the Revelation of the Spiritual Heart that touched her heart deeply. During the past several years, when in Switzerland, she has also been receiving Zen teachings with the Master Erto Taigo Fumagalli.